All posts tagged with "linux"
Dungeons of Dredmor for Linux updates! 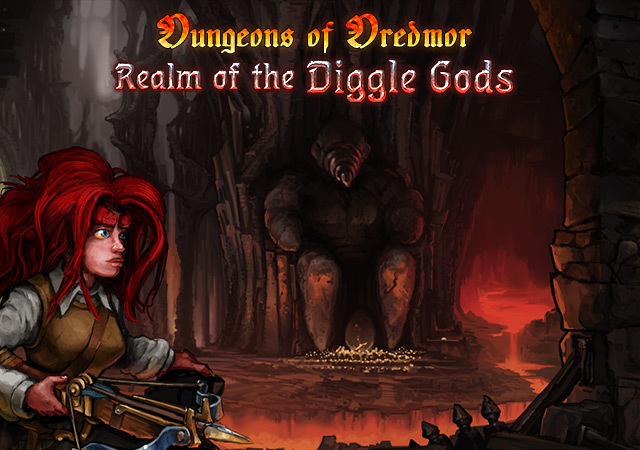 Dungeons of Dredmor is coming to Steam! …Again! First for Windows and Mac, and now, the fabled Linux client. While the Linux client for Steam is still in a closed beta test, those who have access to it should now be able to purchase Dredmor for Linux (as well as a slew of other great games). Also, of course, if you are in the beta and already own Dredmor on Steam, you should just be able to download it and give those Diggles what-for. Praise be to Krong, for you have participated in the Ancient Krongian ritual of the Humble Indie Bundle, and lo, the Children and the Internets are saved from poverty (to the tune of a cool $778,000.00-ish.) Lo, we hath generated over $200,000.00 for the Charities, and hath contributed to a project with many fine indie developers, some of whom are now labouring over games based on Prison Architecture. Of this, Krong mightily approves – and we have many new Dredmor players besides! All praise to Krong, et cetera. So what else doth he have in store for you? – 1.0.7: Now that the Humble Bundle is over, Krong is free from the chains of his period of exclusivity and is eager to spread the gospel of a new patch, with a female hero and mod support and all manner of good and crafty things besides. – 1.0.8: is just about done, and should be out either Thursday or Friday. So he shalt simply wait until then, and pass the savings on via Steam and Desura (and yea, to the Humble Bundle customers besides.) All praise to Krong, for he doth not force you to run the auto-updater more so than usual. – Linux Humble Bundle users: let it be known, Krong feels your pain from his throne covered in the flesh of the finest penguins. We hath addressed your issues, and lo, we hath rolled our fixes into Dredmor patch 1.0.8 – for it is good patch, and it doth fix the random crashes and the general instability. Last but not least, there is an expansion. It is spoken of in the words of the great prophecy, wherein dwarves with giant beards do toil over the finest of new levels and features. Soon! Soon a sign shall come to the Youtubes, in the form of a great Trailer, and the chosen of Krong shalt follow the hyperlink to the trailer wherein all his mysteries shalt be revealed, including a release date which is much, MUCH closer than you think. The Realm of the Diggle Gods. There is a crash in the current 64-bit Linux build of Dungeons of Dredmor. We’ve tracked it down and fixed it for you. Desura users: we have sent an update to Desura, and it should be downloadable at some point today. Steam users: just grab a new binary from us here. … I swear, when I started working on Dredmor I had more hair on the top of my head. Time to go get the razor. In happier, hairier news: Patch 1.0.6 is coming down the hopper. Our entire motivation for Patch 1.0.6 is to ensure that, when we release the Linux version, we can simultaneously release Windows and OS X versions that have the same set of gameplay changes and new items… so patch 1.0.6 is not as large as patch 1.0.5. It is also not as large as 1.0.5 because, well, we’ve mainly been working on the Linux port and new distribution stuff. We hope to have a *huge* slate of announcements within the next week or so about where you will be able to buy Dredmor; Chris Dykstra, our Director of Business Developmentation, has been working the phones so that we can distribute for you so hard, so bad, so smooth, that you’re never going to want to buy games from anybody else, ever again. Two people have asked so far: will there be a 64-bit Linux version of Dungeons of Dredmor? Longest answer: I’m still looking into this one.